The Best Western Space Shuttle Inn, located just a short drive from Daytona Beach, Sea World, Walt Disney World and Universal Studios, and is situated just minutes from the world-famous Kennedy Space Center in Titusville, Fl , is the ideal place to stay when visiting southwest Florida. Exciting attractions and local landmarks are all within reach and just minutes away from this Best Western Titusville hotel, including the famous Kennedy Space Center, Dixie Crossroads Sea Food restaurant, nationally recognized and toured Nature Trails, Atlantic Ocean beaches and more. The Space Shuttle Inn is also close to Port Canaveral Cruise Terminals, American Police Hall Of Fame, the United States Space Hall of Fame and more. Your vacation is what you make of it while staying at the Best Western Space Shuttle Inn at Titusville. The family-owned and American-operated Best Western Space Shuttle Inn offers premium amenities and personalized service for an unforgettable Titusville hotel experience. We offer every guest a complimentary full breakfast, free Wi-Fi, the convenience of our on-site Durango Steakhouse and Lounge, access to the lobby computer and printer, cable satellite television and full use of property barbeques. After a day of exploring area attractions, our spacious accommodations provide a comfortable place to relax and unwind. 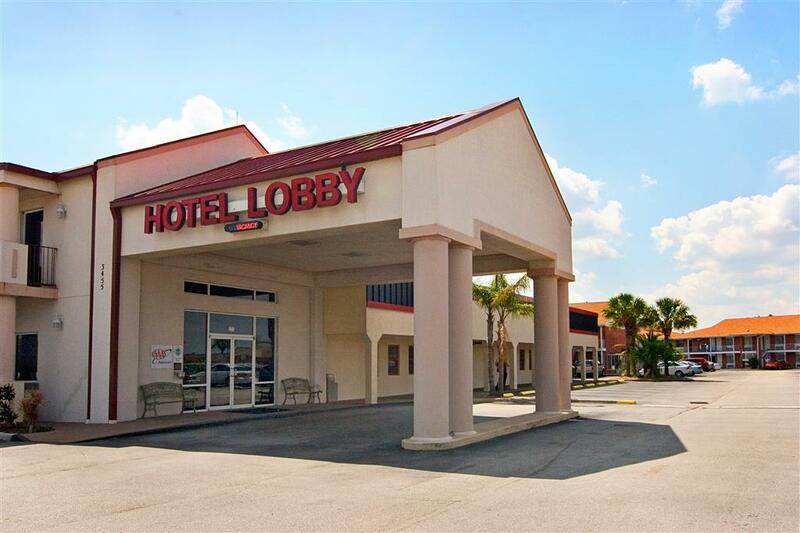 Business guests of this hotel near Kennedy Space Center will also enjoy the Best Western Space Shuttle Inn's close proximity to local businesses, including Bristow Academy, Parrish Medical Center, Boeing and Wal-mart. We even offer special rates for government, AARP and military guests of this Titusville, Florida hotel. Our team members are standing by 24-hours a day to ensure you have an unforgettable Best Western Titusville, Florida experience. Book online today to save at the Best Western Space Shuttle Inn. From: Orlando Intl Airport. Take Beeline Expressway 528 East to Interstate 95. Take Interstate 95 North three miles to Exit 215, travel East on Highway 50 and the Best Western Space Shuttle Inn is on the right side. From: Port Canaveral. Take Beeline Expressway 528 West to Interstate 95. Take Interstate 95 North three miles to Exit 215, travel East on Highway 50 and the Best Western Space Shuttle Inn is one-fourth mile on the right.